Can Diabetic Patients Be Suitable Candidates For Dental Implants? Dental implants are considered as the most viable and comfortable option for replacing the missing tooth. To be eligible for the treatment, patients must have overall good oral hygiene and sufficient jaw bone to support the implants. While discussing dental implants and affordable cost of dental implants in Melbourne, one common question that arises is about the ability of diabetic patients to avail the treatment. Over 1.7 million Australians suffer from either Type 1 or Type 2 diabetes. Patients with uncontrolled diabetes are a higher risk of gum disease. The gum disease when left untreated can result in periodontitis – a more advanced condition where the gums pull away, the bones begin to deteriorate and the affected tooth is ultimately lost. So, the chance of diabetic patients losing a tooth or two is high and these patients saving up to pay dental implants cost in Melbourne is normal. Can diabetic patients avail dental implants treatment successfully? Since incidence of tooth loss is high in diabetic patients and dental implants are considered the most reliable treatment option, patients automatically gyrate towards dental clinics offering an affordable cost for dental implants in Melbourne. 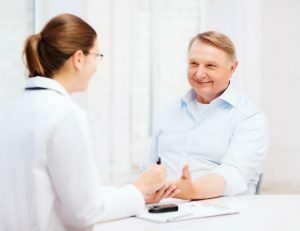 With advancement in dental science and diabetic control programs, experienced dentists can make this connection a successful one. The key lies in choosing the best dentist to work with and in understanding the possible risks of treatment. The inflammatory response of human body is altered when glucose level goes up. The recovery time in diabetic patients is much higher than in normal individuals. Generally, when the implant is fixed to the jaw, the tissues surrounding the implant begin to grow towards the implants and finally fuse together to hold it steadily. The time take for this process is between 6-8 weeks. In diabetic patients, the process can be prolonged to almost 10-12 months (can vary based on overall health of patient and his lifestyle). During recovery process, patients are at a high risk of infection. Also, the chances of implant failure are high in diabetic patients than in normal ones. Not a single trace of gum disease must be left untreated before dental implant treatment in the diabetic patient. Throughout the healing period, blood glucose level must be kept under control. Patients who have just been diagnosed with diabetes and have tooth loss from an accident must initiate the implant procedure immediately. Delaying the treatment can increase the risks as well as dental implants cost in Melbourne. Every patient is different. It is therefore recommended to seek medical help before considering dental implants to replace the missing tooth.